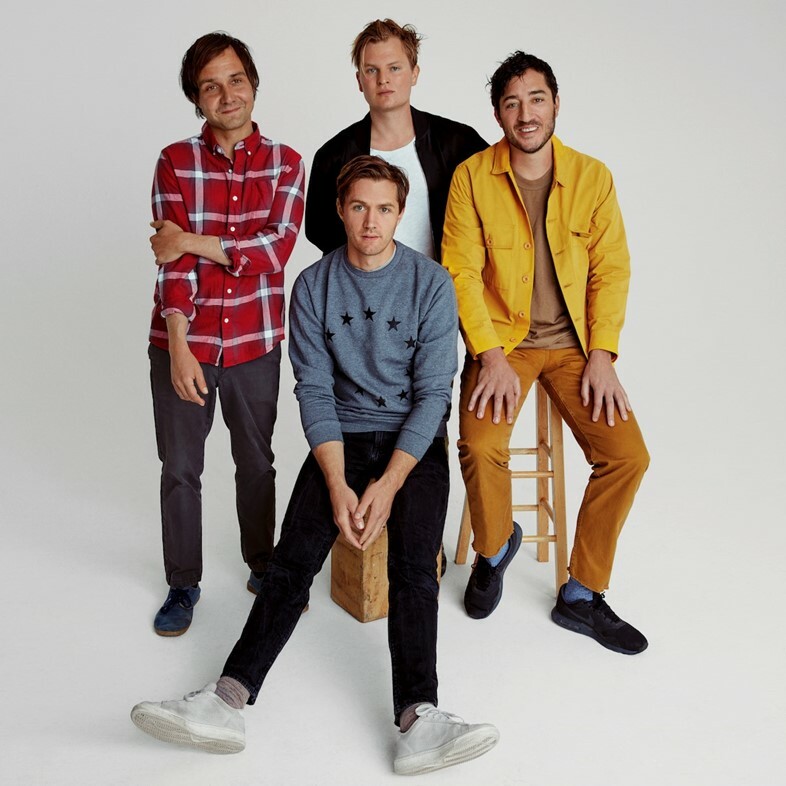 When they quietly went on hiatus after touring their critically-devoured fourth album Shields back in 2013, no one really knew if they would hear from Grizzly Bear again. Formed as the solo project of Brooklyn-based musician Ed Droste back in 2002, the band expanded to comprise guitarist and vocalist Daniel Rossen (of Department of Eagles), bassist Chris Taylor, and drummer Christopher Bear. Over the course of four full-length records – each as vivid and vital as the next – Grizzly Bear’s brand of carefully-crafted, harmony-driven indie rock melded nuance, musicianship, and heart like few others. Droste and co. have just released one of the albums of the year, Painted Ruins, and it’s the sound of a band who have returned positively invigorated. Even for an act whose music has often betrayed an uncanny devotion to small detail, it’s a masterclass in intent-drenched songwriting, brimming with exquisite tonal flourishes, experimental pop tangents, and a huge mood of import and solidarity. From the sweeping four-part harmonies and sonic wanderlust of lead singles “Three Rings” and “Mourning Sound” to the virtuosic art-rock finesse of the likes of “Aquarian” and “Four Cypresses”, Painted Ruins is also easily the band’s most collaborative album to date. Ahead of the band’s first tour in almost four years – which kicks off at Dublin’s Vicar Street next week – we spoke to Ed Droste about the metamorphosis of Grizzly Bear, the necessity of downtime, the importance of collaboration, resisting the urge to become an EDM act, the visuals for their new single “Losing All Sense” – exclusively premiering below – and more. I really like your previous albums, but this record feels a lot more densely layered in terms of structure, textures and the sense of colour throughout. Did you spend a lot of time writing together, or did it come together more organically in the studio? Ed Droste: We’ve always gone on different writing retreats before entering the studio. This time (bassist and the band’s long-time producer) Chris Taylor was more involved in the writing process, so everyone was there for those different writing retreats. The colours and tones and feelings that you’re talking about, that largely came together in the recording process – you know, exploring different instruments and new tonal palettes and stuff like that. We didn’t want to repeat ourselves on Painted Ruins. But we also didn’t want to re-invent the game and become an EDM band or something. We continue to want to make music that feels authentic to us, and that we all really love, but also music that doesn’t feel stale or repetitive. So, I think we’re all really stoked with the final outcome. There’s a song with Chris Taylor on lead vocals (‘Systole’), which is a first for us, too. In many ways, this is our most collaborative effort. When we were in the studio we were just more playful with the recording process; just sort of allowing different ideas to come about and songs to be re-imagined tonally half-way through. For instance, ‘Sky Took Hold’ was originally a more acoustic, sunny ballad, before became this darker, sinister, ending track, with the interjection of the flute changing how the whole song was heard and interpreted. I like how you mentioned Sky Took Hold. It feels like a very fitting closing song on the album. The way you sing, ‘Since I was a young boy it was always there / Inside me growing none of it seems fair / I’ve grown to accept it, let it take the stage / And leave me helpless, watching far away.’ Are you alluding to the bigger picture or is it more of a personal thing? Ed Droste: I think that’s why I leave it ambiguous – it is personal and I don’t necessarily spell it out, but I have seen some fans interpret it correctly. I like it to be open for others to find their own interpretation with it, which has sort of always been the case with my lyrics. Personally, I always relate more to music where I can find my own meaning in. That way, the song takes on a more personal turn and it becomes something that you hold onto longer. I think that’s why the best songs on Painted Ruins have a re-listenable quality – because of the innate ambiguity. It’s now five years since you released Shields. Do you feel the downtime that followed its release informed how you went about writing new material? Ed Droste: I don’t think anyone was deliberately thinking about how the downtime would affect things. It was a necessity based off of exhaustion and feeling burned out. Everyone in the band had personal stuff to deal with. People got married; I got divorced. People moved; there was a baby born. A lot of things happened. I think everyone just needed a moment to sort of live what we imagined a normal, day-to-day life beyond a tour bus and performing all of the time. Slowly but surely, we all came around, with Chris Taylor being the person to nudge us. Eventually, we started getting excited and taking writing retreats in various formations and groups. I really think that we have matured, and I think the break itself allowed us to be more playful in the studio and with each other, and less precious and protective of our ideas – which is always a good thing. That’s the nice thing about being in a band with four people with strong, different ideas: letting people challenge you and not taking it personally, and letting songs flourish as opposed to closing them off. Why was ‘Losing All Sense’ chosen as the new single? And tell me about its accompanying visuals. Ed Droste: There’s a lot of factors behind why singles get picked, and I’m not always the one who chooses it per se. I just go with the flow. But ‘Losing All Sense’ felt like an upbeat, fun thing to release. The video is even more of a dichotomy – it’s like David Lynch meets the The Real Housewives of Beverly Hills meets Heathers or something. It’s kind of campy and dark and surreal. I’m so excited for it to come out. It’s starring my friend Busy Philipps, another friend Freckle who’s an actress and a prominent genderfluid figure, and others. And it’s directed by a good old friend of ours, Cody Critcheloe from the band Ssion. He did an amazing job on a video for Robyn a year or so ago, and he’s an amazing musician, artist, and director. It’s a real trip. It’s a jaunty song with a surreal, campy video with sad lyrics. It’s three vibes all mixed together. That’s pretty much Grizzly Bear in a nutshell. You are a band that are still regularly hailed as torchbearers in the realm of indie rock but the genre is beyond fluid at this point – it can mean anything to anybody. Does it matter to you how Grizzly Bear are viewed in terms of genre? On which note, a lot has changed in the world since Shields came up. Do you feel you filtered those big changes and the external world into Painted Ruins? The tour will be your first in almost four years. It kicks off in Dublin, right? Ed Droste: Yes! I love Dublin. Touring is the best part of being in a band – I really enjoy the performance element and playing to an audience. We’ve been doing these great super small shows in New York and L.A. recently and they’ve been so much fun to play. We haven’t played play to 250 capacity rooms in a long time and it’s just still so intimate and special. But we’re excited about coming to Europe, which has been a long time coming. I think we’ve something like 40 shows including in-store performances coming up before Christmas so yeah, we’re pumped. We’re using every soundcheck we have to bring in more songs. When we started the rehearsal process over the summer, we were a little overwhelmed with the amount of songs we have to choose from. Of course, each tour will lean towards new material but we’ll definitely be switching it up every night.